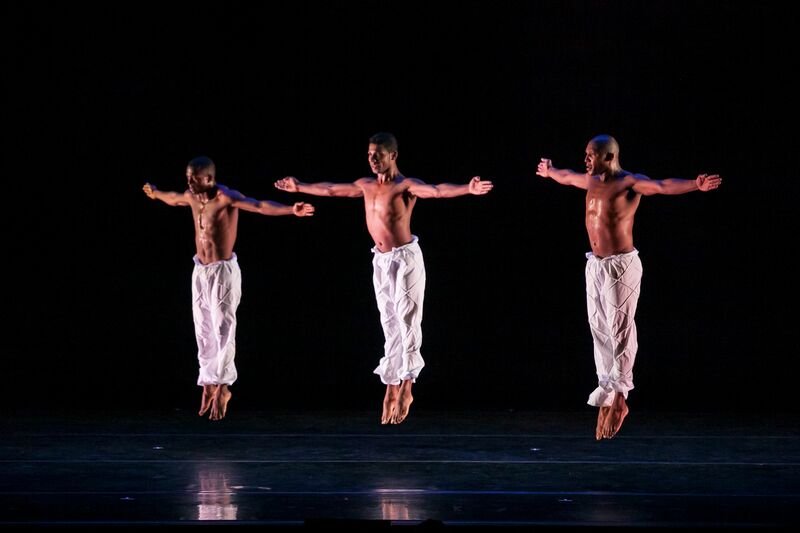 DanceBrazil’s new season is coming soon to the Joyce Theatre: from June 23rd to July 3rd. In its 38th Anniversary, the worldwide famous Brazilian dance company will present the premiere of “Malungos” (2015) and two other performances, “Búzios” (2014) and “Gueto” (2014). DanceBrazil was founded in NYC, in 1977, by Jelon Vieira and has been on the spotlight by featuring a signature fusion of Afro-Brazilian movement, contemporary dance and Capoeira. The choreographies are inspired in Bahia’s cultural traditions, the epicenter of African influence in Brazil. Tickets for DanceBrazil usually sell out fast, so do not leave it for the last minute! “Malungo” (2015) explores the strong friendships that emerged between the African slaves during their long and arduous journey across the Atlantic Ocean back in the colonial era. “Búzios” (2014) delves into the tension and curiosity inherent in the game “jogo de búzios” (throwing of cowrie shells), an enigmatic and mystical game of divination that Brazilians inherited from their African ancestors. “Gueto” (2014) is a narrative about the lives of the people living in marginalized, disenfranchised communities in Brazil and around the world.